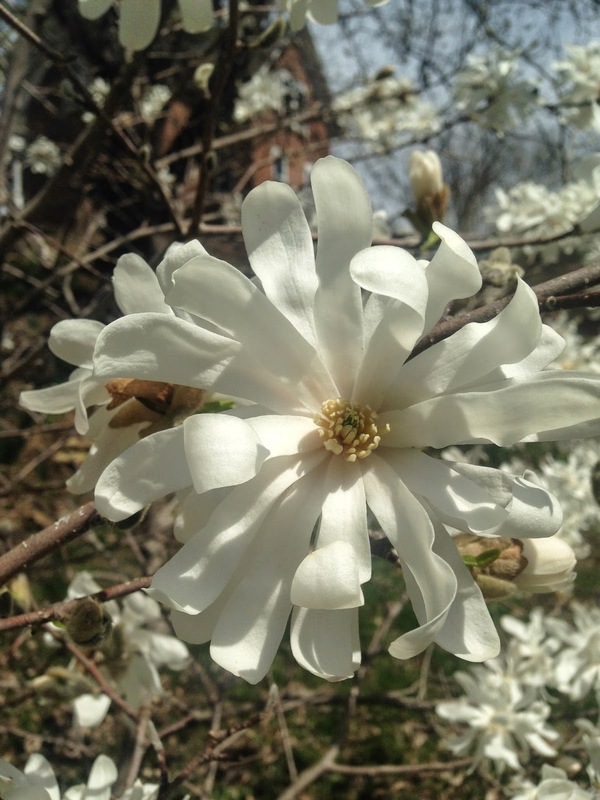 Amy's Creative Pursuits: My First Garden Pictures of the Year! My First Garden Pictures of the Year! I think every Sunday on my blog for the rest of the gardening season, will now be 'Flower Sunday'. I realize most of you who live in the warmer states, will be completely unimpressed by today's photographs, but for this Northern gal, I'm pretty excited about my little blooms that showed up in my garden this week. You see, in my bone-chilling state, we are still getting frost until the end of May, and we don't usually see a lot of flowers until then as well. So when the first crocus blooms, I'm singing songs of praise, for I know the long, hard winter is finally over, and my favorite season is here. I don't have a lot of crocus in my yard. A lot died out, and animals seem to love to dig up and eat this bulb. Many times I even wonder if this flower is worth planting at all considering all it's hardships, it's insignificant, tiny blooms, and it's short life span. But the thing this flower offers that no other flower can, is HOPE. For this is the first flower to bloom in spring, why, it'll even push it's way through the snow and bloom! And I know, when I see this little persistent beauty basking in the sunshine that winter is finally coming to an end. There are so many winters where I wonder if the snow will ever melt, will I ever see grass again, will I ever be warm again…and then, the miracle happens…the crocus blooms and I know I will see spring again. For that reason, and that reason alone, crocus is worth planting. The simple, yellow jonquils are the next bulb to bloom. This year, I even saw a butterfly land on one. I tried to photograph it, but it kept flying off every time I got too close. I was so surprised to see a butterfly so early in the season. 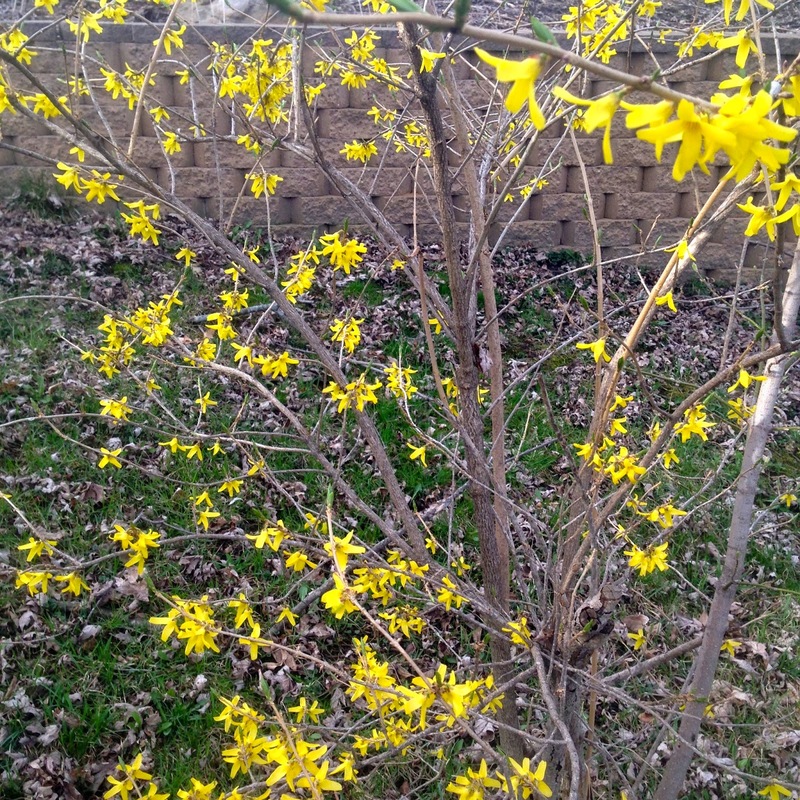 The first bush to bloom is always the forsythia bush. My forsythia bush is quite pathetic in comparison to the ones I see in photos. Mine is planted on a dry slope, in mostly shade, so it is very sparse instead of nice and full as it should be. But I keep it anyway, for the same reason I keep those crocus around: because it's one of the first signs of spring and it gives me hope. It's also in bloom when nothing else is. The cheerful yellow color amidst the sea of leafless trees and brown grass is an immediate spirit booster. All my specialty daffodils bloom next. I use to have an entire hillside of daffodil blooms, but their blooms have drastically been decreasing for they need to be dug up, divided, and re-planted. Hopefully this year I can do that. 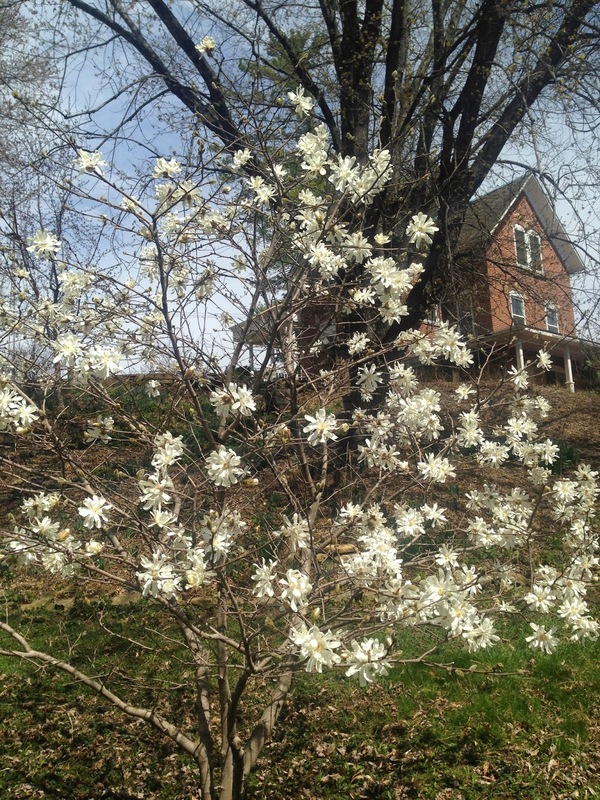 And finally, my favorite early spring blooming tree. I don't remember the exact name of this tree, but I think it's some type of very hardy magnolia tree. We can't grow the really pretty pink and white magnolia's here in Wisconsin for it's too cold, but we can grow this type. It is so pretty, and has such a heavenly scent. Here is a close up of one of it's blooms. I have been wanting to plant a forsythia bush for a long time, somehow I never got to, and always admire them whenever they start blooming in the neighborhood. Your crocus are so pretty, love that purple...mine never bloomed because something ate the leaves before they even got to bloom..every year, so I dug them up :-( Maybe I'll plant some again in fall, we have cats now and the rabbits might just stay away. Happy Birthday with a Cherry on Top!